In three years, we have created something so special. We’re worked with 173 girls; expanded into another East London Borough and have seen our first cohort leave us for universities, colleges and careers. To keep the tradition of reflection each year, I’m going to share some of our learnings. 1. You can’t do everything. This pains me. This pains the other coaches and volunteers. In a world without limitation we would run a clinic, teach a curriculum, design and implement an apprenticeship scheme. But we can’t. So we do as much as we’re able to — formally and informally — to make sure we’re able to do as much as funding, time and distance allow us. 2. £1.50 is the cost of is my morning coffee. It also happens to be the cost of a train journey for any of the laces to experience something outside of Hackney. Remember this the next time when you feel guilty that the amount you’re donating to a charity isn’t significant. It all really does count. 3. Football isn’t just a sport. It’s an enabler. Studies upon studies show that sport has the ability to change lives. Fitness reduces depression amongst teens. 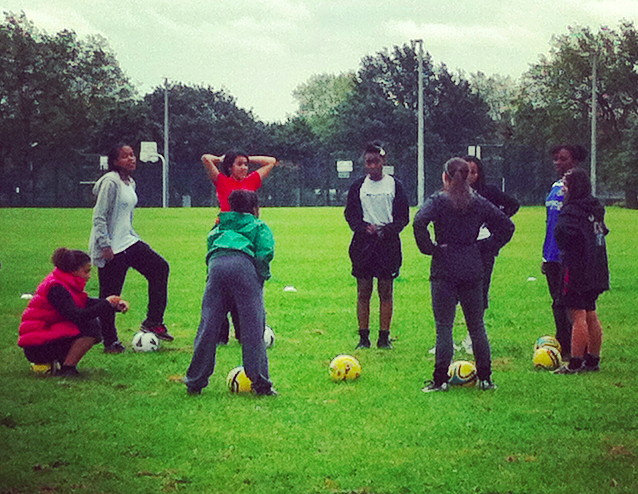 Sports lead to stronger communities, healthier young people and a whole host of other positive effects. Football is much more than a sport. 4. Hire an accountant. Annual returns, accounts and filing are a nightmare. Whilst they can be a good thing to learn, they are best left to professionals. Unless of course, you like stress and threats of fines. There are lots of things I’ve learned that I can’t do justice through writing. I’ve learned about Fellows, Smalley and Kingsmead (all estates in Hackney). I’ve learned what ‘ends’ and ‘peng’ mean (area and good). Perhaps the most important thing that I’ve learned from the whole laces experience to date is you have to believe in your own idea. That is what will drive it forward. Having organisations back you helps with the whole self-belief thing but at the end of the day, it’s the people that drive projects and organisations forward. And the amazingly talented and bright volunteers that run laces have taught me that with a small, dedicated group of people, you can pretty much do anything.